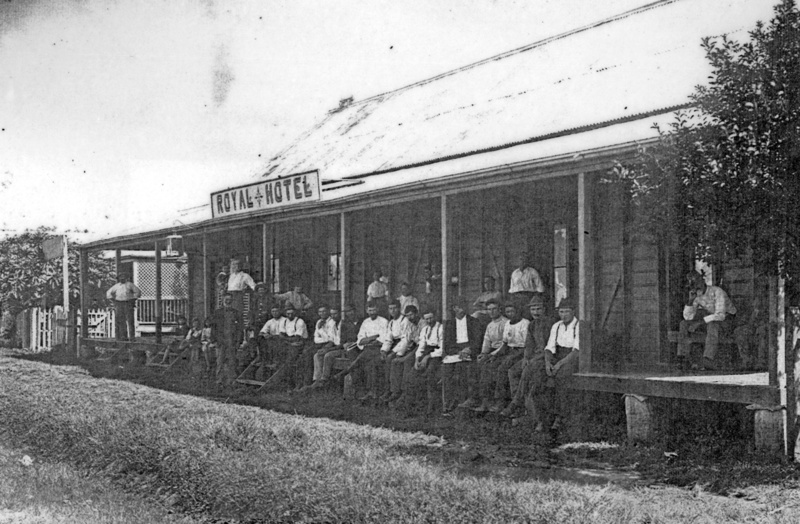 The Royal Hotel was probably moved from Craiglie to Mossman about 1892 by Fred Jensen who named it the Royal Hotel. Its first licence to M. Scanlan is dated 1898. Other licensees were Christina Black 1899; Mary Pringle 1903; Patrick Joyce 1904; C Jensen 1907-1910. Christian Frederick Jensen,the proprietor began an Aeriated Water (soft drink) business out the back about 1905.